Our New 50 Zip It Obstacle Course is an obstacle lovers dream come true. Enter the bulls eye and zip through the bumpers and mushrooms before climbing up the steps and down the slide. Zip through the gate; enter an even taller slide Zipping It to the finish line. Dual lanes allow the kids to race side by side. 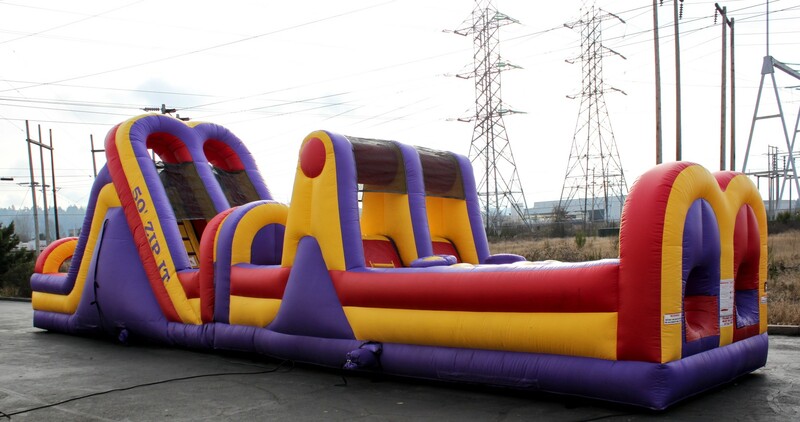 This exciting inflatable obstacle course is great for large events around the Seattle area.